All OHS Girls Soccer Players are invited to “open play” on Tuesday nights from 7-8pm at The OHS Grass Soccer Field. Spread the word..bring your friends! Wear proper attire (including shin guards). Teams for the Summer Sizzler will formed for those of you who don’t have a team together yet!! Coach Davidson and Paige Hemphill Recognized Last Night. 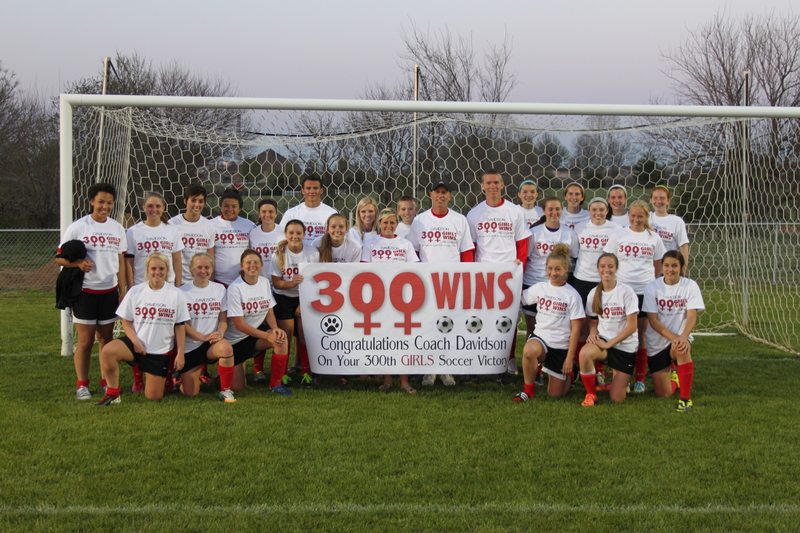 With tonight’s victory over Republic 2-1, Coach Davidson reached his 300th Girls Victory. His wins were a combination of victories as head coach at Kickapoo and head coach at Ozark. Congratulations Coach D. We’re looking forward to your next milestone… 700 Career wins (boys and girls) in the fall! !